We are pleased to have servers in 7 locations, United States (US), Luxembourg (EU), Australia (AU), United Kingdom (UK), Germany (DE), Singapore (SG) and Japan (JP). Along with our 7 locations, our servers also support Cloud Flare which is a free option you can enable in cPanel, distributing your content around the world so its closer to your visitors (speeding up your site). Our Las Vegas Data Center offers excellent connectivity and is a safe and secure environment for your shared web hosting. The Data Centre is equipped with Cummins diesel generators, N+1 redundant cooling systems, multiple diverse fiber providers in the facility (building is located just 200 yards from a major fiber route), and multiple provider POPs in the facility. Roost, Luxembourg offers excellent connectivity throughout the EU, and as an added bonus, Luxembourg protects freedom of speech and customer privacy. Unlike US data centers there is no DMCA takedown enforcement. The Data Centre is Tier 4 with over 1000 BGP sessions to over 500 different networks. There is direct peering in Roost to the largest internet exchanges in Europe: LINX, DE-CIX, AMS-IX, FranceIX and Equinix. Need fast Australian servers, with excellent international peering? Equinix SY3, Located near the Sydney Central Business District, Australia’s largest corporate and financial centre, Equinix colocation facilities are the only data centre offering direct links to both of the continent’s two largest peering points: the Southern Cross Cable Head, a trans-Pacific network of telecommunications cables, and the PIPE Pacific Cable network that runs from Australia to Guam. Japan has excellent international connectivity to Brunei, mainland China, Hong Kong, Japan, Singapore, the Philippines as well as the USA and Hawaii. 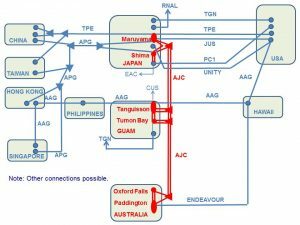 The Australia Japan Cable also provides excellent connectivity to Guam and Australia. If you are looking to target Asian visitors, as well as the rest of the world, Tokyo Japan is a great place to host. 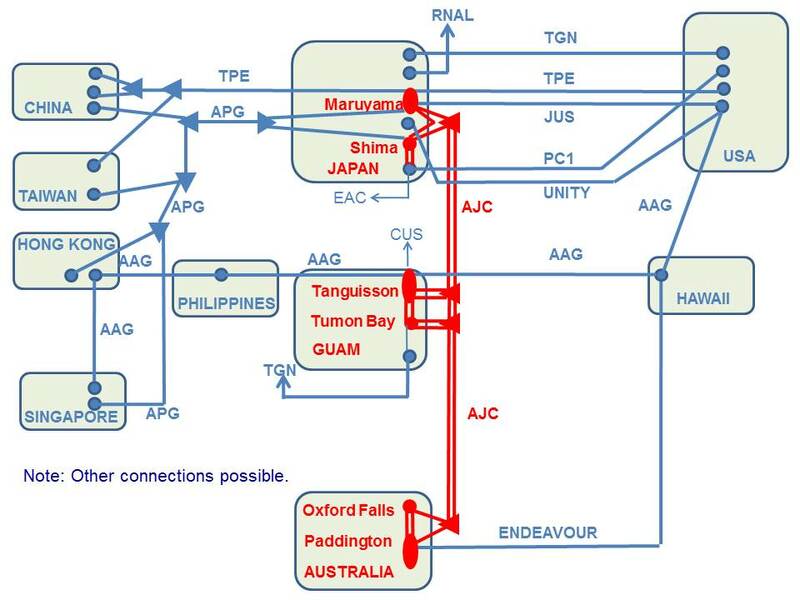 Please See the below image from the Australia Japan Cable website which shows the excellent connectivity options from Japan. Singapore has excellent connectivity to Asia, Australia, New Zealand Europe, USA and the rest of the world. World class infrastructure and plenty of bandwidth are all reasons to host your website in Singapore. Excellent connectivity to Europe, Asia, United States, Canada and more. If you would like to have fast speeds to both Europe and United States, this is a great central location. Redundant power sources supply stable power and of course self contained backup power is available if required. This location is perfect if looking to target Germany and the rest of Europe. Multi-redundant network connections to important Internet exchanges ensure fast website access regardless of your location. Environmentally friendly infrastructure, 24/7 monitoring.